The mascot football stockings are hung, the tree is richly decked and the annual light displays are a-glow. With the holidays fast approaching, some of us may find ourselves scrambling to find the perfect gift, particularly for that Florida-centric friend or family member. Not to worry, FORWARD Florida has got you covered. The Sunshine State is filled with special gems. 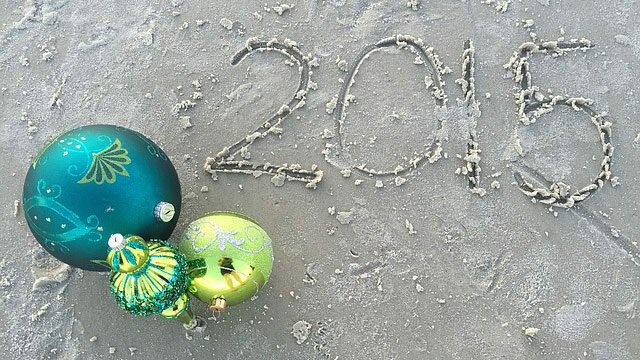 From knick-knacks to natural treasures to experiences and sweets, our gift guide features unique items that make the best presents for Florida enthusiasts. Nothing says home is where the heart is like giant Florida-shaped home décor. 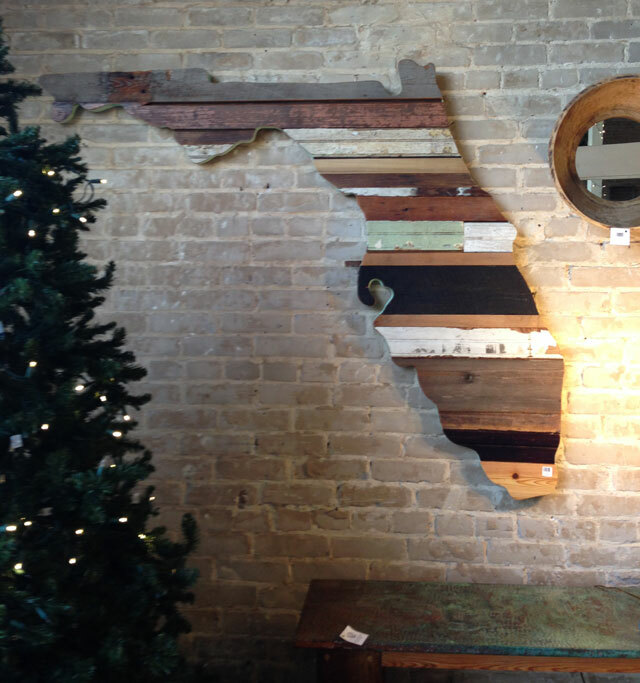 Despite its large size, this handcrafted piece by Anna Bananas in DeLand exudes a charming blend of old and new, and is ideal for showcasing state pride in a tasteful manner. Perhaps you are looking for something more suited for a thrill seeking and outgoing personality. 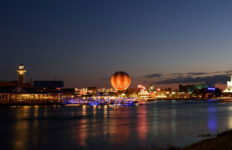 Orlando is known to draw plenty of those types to its theme parks and attractions. Here is a suggestion: While your thrill-seeker waits in anticipation for Skyplex’s 500-foot-plus coaster Skyscraper to be built in Orlando, try giving an alternative daring experience. What can be more thrilling than learning to perform improv in front of a whole bunch of people? Since its inception on Church Street in downtown Orlando in 1991, SAK Comedy Lab has grown to become one of the largest improv training centers in the country. Notable alumni include Emmy winner Wayne Brady, Everybody Loves Raymond and The Office writer Aaron Shure and MadTV lead actor Paul Vogt. Photo by Sam Howzit, used under CC BY. 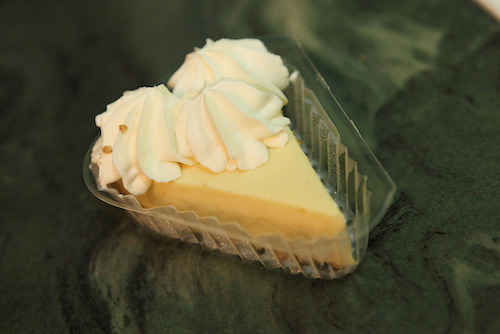 Give a slice of the Florida Keys with “all things key lime” from Kermit’s Key West Key Lime Shoppe. Stop by their Key West or DeLand locations to pick up a famous pie bar or a jar of key lime salsa. Or order from the online store and have a delicious key lime pie delivered to your loved one. Kermit’s ships everywhere in the U.S. and Canada, as well as to U.S. APO’s. Photo Credit: Florida Department of Environmental Protection. Explore Florida’s diverse wildlife. Plan a picnic adventure and pack the recipient’s favorite Publix goodies. (We are partial to Publix’s iconic holiday cookies.) 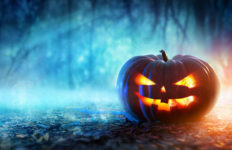 Don’t forget to bring the camera! Florida has 171 award-winning state parks and trails to choose from, welcoming more than 27 million visitors per year. 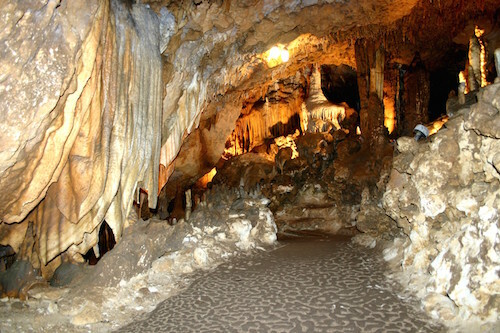 Some of our favorites include Blue Spring State Park in Orange City, Bulow Plantation Ruins Historic State Park in Flagler Beach and Florida Caverns State Park in Marianna. An annual State Parks pass is available for purchase at all park ranger stations and museums or at the Florida State Parks online store. Check out the Florida State Parks website for a complete list of parks and trails. Spread joy through fun, colorful (framed and unframed) prints highlighting Florida settings such as “Summer of Love.” Photographer Amanda Murphy captures an idyllic union of sock monkeys against a stunning seascape of a beach in Miami. Murphy seeks out Florida beaches specifically for beach scenes due to their unique and natural beauty. Dotty Giraffe specializes in fine art photography of toys in whimsical situations. The playful works are often spotted in art festivals and shows throughout Central Florida and Illinois, in addition to kid’s rooms, living rooms, schools, hospitals and doctor’s offices. Millions of cats and dogs end up in animal shelters. Of those, according to the Humane Society of the United States, 2.7 million are euthanized every year. Per the Orlando Sentinel, 20,140 cats and dogs are killed in Central Florida every year. Consider making an impact. 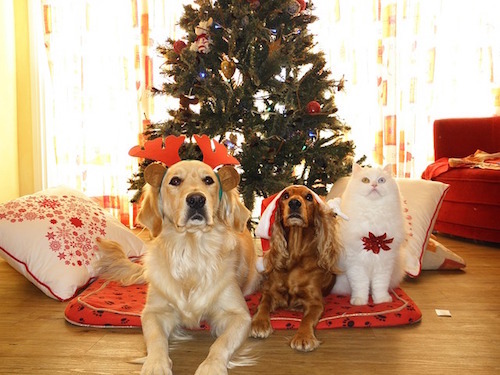 Many shelters are offering special promotions and foster programs for the holidays. For instance, Orange County Animal Services, Seminole County Animal Services, Osceola County Animal Services and the Pet Alliance of Greater Orlando are teaming up to adopt out a total of 2,000 animals from participating shelters during the month of December. If the lifelong commitment of caring for a pet might be too much for your animal-loving recipient, perhaps donate to a shelter instead. Photo by Christian Weber/Showtime via Dyl86, used under CC BY. Florida has an extensive history with film. It is a major industry that has been cultivated for more than 100 years and continues to grow, as seen by the studios and production facilities recently built in Miami and Sarasota. Discover the magic behind the movies filmed here. 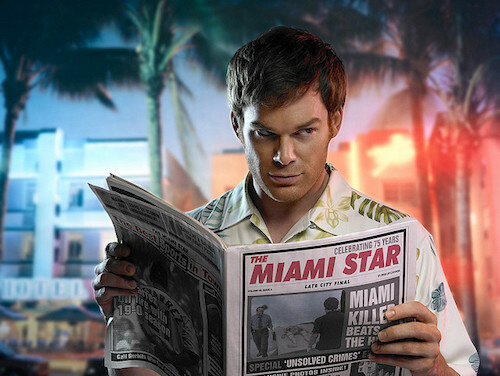 Miami Movie Tours takes guests on an insightful, interactive blockbuster journey that puts them up close to several movie and TV show hotspots. 2 Fast 2 Furious, Dexter, James Bond 007 and Scarface are just a few of the film locations on the list. Florida is nurturing a strong network of entrepreneurs. In a Small Business & Entrepreneurship Council report released last year, Florida ranks No.5 for the most entrepreneur-friendly state. Startups like TROBO in Orlando are now shipping this year for the holiday season and anticipate a successful new year. Parents and children would love TROBO. 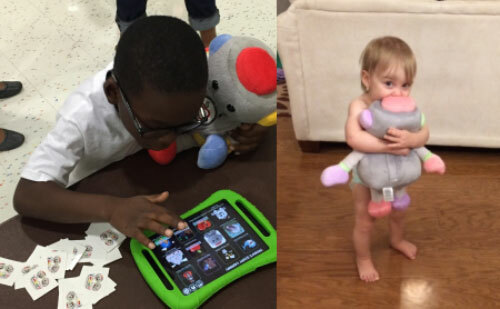 The huggable, talking plush robot is intended to inspire kids to learn about STEM through personalized, interactive stories and games on iPads and iPhones. TROBO was awarded a grant by the National Science Foundation and named a 2015 “Best of Toy Fair” by Popular Science. It is one of the very few Kickstarter products that actually delivered early, raising $61,000. There is nothing like warming up in the winter with a cup of hot cocoa or tea, even in those chilly days in Florida. Pair a fun mug with packages of TSTE® Chocolate Candy Cane Tea, TSTE® Peppermint Patty Sugar and TSTE® Dark Cocoa Sugar and create a festive chocolaty tea latte pack. The Spice and Tea Exchange® brings the 18th Century Trading Post concept to life, providing a variety of fresh spices, sugars, rubs and tea blends fit for any food lover or tea enthusiast. TSTE® opened its first store in St. Augustine and has expanded throughout Florida and the U.S. Last year, the company made Tampa Bay Business Journal’s Fast 50 listing of Tampa Bay’s fastest growing companies. Give a gift that gives back and supports conservation efforts to protect Florida wildlife. Symbolically adopt a manatee in your recipient’s name. Florida’s state marine mammal is the manatee, and like many of us, manatees migrate to the warm waters of South Florida in the winter. They play an important role in maintaining the state’s healthy ecosystem and influencing its ecotourism industry. 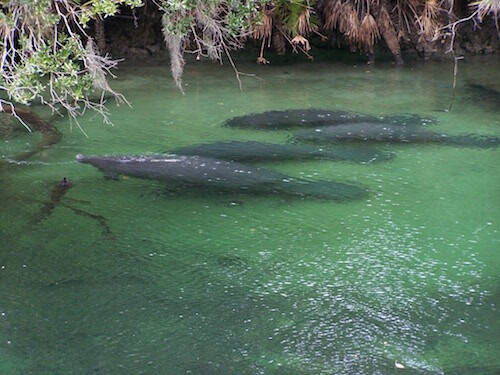 The most recent aerial survey data from the Florida Fish and Wildlife Conservation Commission reveals there is at least 6,000 Florida manatees. Habitat loss, watercraft collisions and several other human factors threaten these gentle marine giants’ survival. Or simulate a travel experience with a DVD documentary of the Everglades to Gulf Florida expedition by the Florida Wildlife Corridor. Give the gift of live performance and celebrate the holidays against a background of illuminated royal palms. Not only will you be generating a lifetime of memories, but you will also be supporting the Florida arts and culture community. Kravis Center for the Performing Arts will be presenting Broadway On Ice on Dec. 22 and 23 and The Nutcracker on Dec. 27-29. Salute to Vienna, West Palm Beach’s annual New Year’s Concert, will kick off 2016 on Jan. 1. Tampa is emerging as one of the best beer cities in the country. Recently The Pour Fool rated the city one of “America’s Top Ten Emerging Beer Towns.” Give a holiday beer-cation and reserve spots on the Brew Bus. Brew Bus explores some of the best craft breweries in the Tampa Bay area. 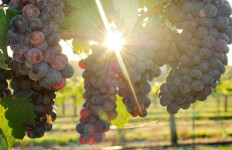 It is the only company of its kind in Florida licensed to serve alcohol en route (The bus serves as a tasting room). Some famous stops are Cigar City Brewing and Tampa Bay Brewing Company. Oranges are a Florida staple. 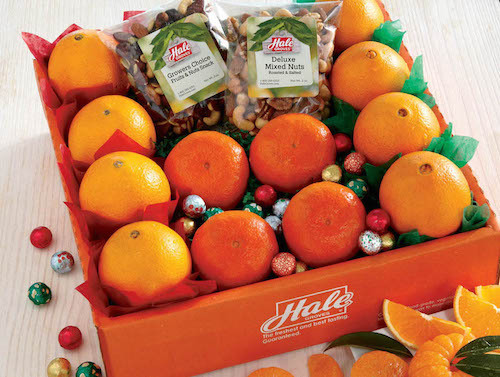 They are savory, sweet and make lovely gifts because most oranges are harvested during these months. Send a fresh basket full of Florida sunshine this holiday.